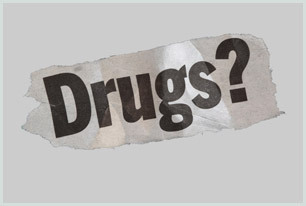 A drug is any chemical which affects how your body works, or how you behave or feel. Some drugs come from plants and others are made in laboratories. The process of making drugs and what goes into them varies from place to place. This makes it very difficult to be sure of what you are actually getting. Street drugs are often mixed with impurities to make them go further, for example: cannabis mixed with other herbs, cocaine and amphetamines mixed with baking powder, anaesthetics, caffeine and heroin mixed with talc. What drugs do people use most? Apart from medicines and caffeine, the drug most Irish people use is alcohol, followed by nicotine.